Theoretical and computational geophysical fluid mechanics, nonlinear wave mechanics, complex 3D environmental flows, numerical methods. Working on seamless cross-scale models based on unstructured grids. An example is SCHISM modeling system (http://ccrm.vims.edu/schismweb/), which has been successfully applied to general circulation (from creek to ocean scales), storm surge/tsunami inundation hazard, sediment transport, biogeochemistry/ecology/water quality, oil spill, and short wave-current interaction. Jacob, B., Stanev, E.V., and Zhang, Y. (2016) Local and remote response of the North Sea dynamics to morphodynamic changes in the Wadden Sea, Ocean Dynamics, 66, 671-690. Zhang, Y., Stanev, E.V. and Grashorn, S. (2016) Unstructured-grid model for the North Sea and Baltic Sea: validation against observations, Ocean Modelling, 97, 91-108. Zhang, Y., Ateljevich, E., Yu, H.S., Wu, C.H., and Yu, J. (2015) A new vertical coordinate system for a 3D unstructured-grid model, Ocean Modelling, 85, 16-31. Pein, J.U., Stanev, E.V., and Zhang. Y. (2014) The tidal asymmetries and residual flows in Ems Estuary, Ocean Dynamics, 64, 1719-41. Horrillo,H., Grilli, S.T., Nicolsky, D., Roeber, V. and Zhang, Y. (2014) Performance Benchmarking Tsunami Models for NTHMP’s Inundation Mapping Activities, Pure and Applied Geophysics, DOI 10.1007/s00024-014-0891-y. Bertin, X., Li, K., Roland, A., Zhang, Y., Breilh, J.F. and Chaumillon, E. (2014) A modeling-based analysis of the flooding associated with Xynthia, central Bay of Biscay, Ocean Engineering, 94,80-89. Wang, H.V. Loftis, J.D., Liu, Z., Forrest, D. and Zhang, Y. (2014) The storm surge and sub-grid inundation modeling in New York City during Hurricane Sandy, Journal of Marine Science and Engineering, 2(1), 226-246. Priest, G.R., Zhang, Y., Witter, R.C., Wang, K., Goldfinger, C. and Stimeley, L. (2014) Tsunami impact to Washington and northern Oregon from segment ruptures on the southern Cascadia subduction zone, Natural Hazards, 72(2), 849-870. Azevedo, A., Oliveira, A., Fortunato, A.B., Zhang, Y. and Baptista, A.M. (2014) A cross-scale numerical modeling system for management support of oil spill accidents, Marine Pollution Bulletin, 80, 132-147. Witter, R.C., Y. Zhang, Wang, K., Priest, G.R., Goldfinger, C., Stimely, L., English, J.T. and Ferro, P.A. (2013) Simulated tsunami inundation for a range of Cascadia megathrust earthquake scenarios at Bandon, Oregon, USA, Geosphere, 9, 1783-1803. Roland, A., Zhang, Y., Wang, H.V., Meng, Y., Teng, Y., Maderich, V., Brovchenko, I., Dutour-Sikiric, M. and Zanke, U. (2012) A fully coupled wave-current model on unstructured grids, Journal of Geophysical Research-Ocean, 117,C00J33,doi:10.1029/2012JC007952. Pinto, L., Fortunato, A.B., Zhang, Y., Oliveira, A. and Sancho, F.E.P. (2012) Development and validation of a three-dimensional morphodynamic modelling system, Ocean Modelling, 57-58, 1-14. Witter, R.C, Zhang, Y., Wang, K., Goldfinger, C., Priest, G.R., Allan, J.C. (2012) Coseismic slip on the Cascadia megathrust implied by tsunami deposits in an Oregon lake. Journal of Geophysical Research-Solid Earth, 117, B10303, doi:10.1029/2012JB009404. Witter, R.C., Jaffe, B., Zhang, Y. and Priest, G.R. (2012) Reconstructing hydrodynamic flow parameters of the 1700 tsunami at Cannon Beach, Oregon, USA., Natural Hazards, DOI 10.1007/s11069-011-9912-7. Zhang, Y., Witter, R.W. and Priest, G.P. (2011) Tsunami-Tide Interaction in 1964 Prince William Sound Tsunami, Ocean Modelling, 40, 246-259. Priest, G.R., Goldfinger, C., Wang, K., Witter, R.C., Zhang, Y., Baptista, A.M. (2010) Confidence levels for tsunami-inundation limits in northern Oregon inferred from a 10,000-year history of great earthquakes at the Cascadia subduction zone. Natural Hazards, 54(1), 27-73. Burla, M., Baptista, A.M. Zhang, Y., and Frolov, S. (2010) Seasonal and inter-annual variability of the Columbia River plume: a perspective enabled by multi-year simulation databases. Journal of Geophysical Research, 115, C00B16. Frolov, S., Baptista, A.M., Zhang, Y. and Seaton, C. (2009) Estimation of Ecologically Significant Circulation Features of the Columbia River Estuary and Plume Using a Reduced-Dimension Kalman Filter. Continental Shelf Research, 29(2), 456-466. Rodrigues, M., Oliveira, A., Queiroga, H., Fortunato, A.B., and Zhang, Y. (2009) Three-Dimensional Modeling of the Lower Trophic Levels in the Ria de Aveiro (Portugal), Ecological Modelling, 220(9-10), 1274-1290. Rodrigues, M., Oliveira, A., Costa, M., Fortunato, A.B. and Zhang, Y. (2009) Sensitivity analysis of an ecological model applied to the Ria de Aveiro. Journal of Coastal Research, SI56, 448-452. Zhang, Y., and Baptista, A.M. (2008) An Efficient and Robust Tsunami Model on Unstructured Grids. Part I: Inundation Benchmarks. Pure and Applied Geophysics, 165, 2229–2248. Zhang, Y., and Baptista, A.M. (2008) SELFE: A semi-implicit Eulerian-Lagrangian finite-element model for cross-scale ocean circulation. Ocean Modelling, 21(3-4), 71-96. Baptista, A.M., Zhang, Y., Chawla, A., Zulauf, M.A., Seaton, C., Myers, E.P., Kindle, J., Wilkin, M., Burla, M. and Turner, P.J. 2005 A cross-scale model for 3D baroclinic circulation in estuary-plume-shelf systems: II. Application to the Columbia River. Continental Shelf Research, 25, 935-972. Zhang, Y., A.M. Baptista and Myers, E.P. 2004 A cross-scale model for 3D baroclinic circulation in estuary-plume-shelf systems: I. Formulation and skill assessment. Continental Shelf Research, 24, 2187-2214. Zhang, Y. and X. Bertin (2016) Modelling from basin- to community-scales on large unstructured grids, 15th International workshop on Multi-scale (Un)-structured mesh numerical Modeling. Zhang, Y. (2015) Recent Development of Unstructured-Grid Models for Oceans, Estuaries and Rivers, Gordon Research Conference, Univ. of New England. Zhang, Y., Ateljevich, E., Yu, H.S., Wu, C.H., and Yu, J. (2014) A new vertical coordinate system for a 3D unstructured-grid model, 13th International workshop on Multi-scale (Un)-structured mesh numerical Modeling, Lisbon, Portugal. Zhang, Y. 2014 Simulating Cross-scale Processes in North and Baltic Seas, HWK Fellow Lecture, Hanse-Wissenschaftskolleg, Germany. Zhang, Y. 2014 A Flexible Modelling Framework Based on Unstructured Grids, Colloquium at Univ. of Oldenburg, Germany. 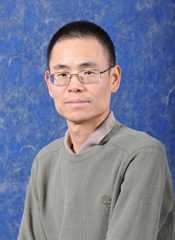 Zhang, Y. 2014 Advanced river modelling, German Federal Institute of Hydrology (BfG), Germany. Zhang, Y. 2014 Community Modelling with a next-generation unstructured-grid model and Application to Taiwan Marginal Seas, Central Weather Bureau, Taipei, Taiwan. Zhang, Y. 2013 Advanced computational methods in Geophysical Fluid Dynamics. Tsinghua Univ, Beijing, China. Zhang, Y. 2012 Open-source Community Modelling on Unstructured Grids: lessons from last decade, Helmholtz Zentrum Geesthacht, Germany. Zhang, Y. 2012 Open-source Community Modelling on Unstructured Grids: lessons from last decade, University of Hannover, Germany. Zhang, Y. 2012 A next-generation 3D unstructured grid model for oceans and estuaries. National Sun Yat Sen University, Kaohsiung, Taiwan. (Conference co-organizer) Workshop on Tsunami Hydrodynamics in a Large River, Oregon State Univ. Aug. 2011. Zhang, Y. 2011 Challenges in 3D cross-scale modeling, SIAM Conference on Mathematical & Computational Issues in the Geosciences, Long Beach, CA. Zhang, Y. 2009 Simulating Nearshore Wave Dynamics Using SELFE, ISEC Workshop on Simulation & Large-Scale Testing of Nearshore Wave Dynamics Oregon State Univ., OR. Zhang, Y. and Baptista, A.M. 2006 “Modeling circulation variability in a complex estuary-plume system”, International workshops on coastal observatories, 17-19 October, 2006, Liverpool, UK.